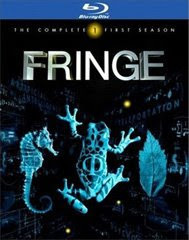 Today is the last day to enter the "Tweet My Fringe" contest, for your chance to win the Blu-Ray edition of Fringe: The Complete First Season. Visit the Tweet My Fringe contest page for more details. For other Warner Blu-ray discs, visit the Warner Bros. Blu-ray Facebook page - www.facebook.com/warnerblu.